Are you looking for reliable and trustworthy swimming pool contractors in Columbia? Are you looking for reliable and trustworthy swimming pool contractors in Columbia? In that case, you’ve found the right people. 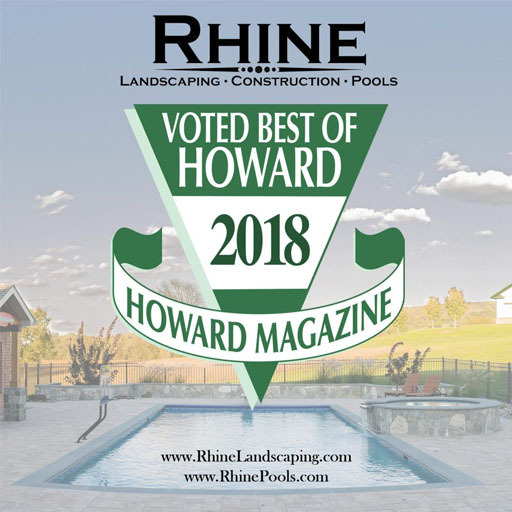 One of the contracting services we can provide for you here at Rhine Pools has to do with custom swimming pool design. Make your pool stand out! Read on to find out how. One of the first steps towards building a new swimming pool for Columbia homeowners is to have our swimming pool designers finalize the layout. Your landscape might not look like it can fit a swimming pool, but we can help you determine the right size, shape, and depth. With our custom swimming pool design services, you can transform your backyard into an oasis that will have all your friends and neighbors swarming you during the spring and summer. If you aren’t prepared to host that many pool parties, trust our swimming pool contractors to help you get ready by the time March, April, and May swing around. Winter will eventually give way to the first breath of spring. In fact, warmer temperatures over the upcoming weekend might encourage to spend more time outside, even if you’re not ready to reopen your pool just yet. But why should you consider the merits of custom swimming pool design? Let’s take a closer look. Getting a Good Workout: Was part of your new year’s resolution to get in better shape? Exercise can come in many unexpected ways, from playing with your dog to running laundry up and down the stairs to taking out bulging bags of trash. But swimming makes for a good workout too – it’s strenuous but low-impact. You can alleviate stress and condition muscles all over your body at the same time. You can also train yourself to become more flexible while improving your sense of balance – and you can feel better with stronger lungs, too. Finding Time to Unwind: Don’t be afraid to unwind! We understand that dealing with your daily life can be hectic and exhausting. With your swimming pool safely installed behind your Columbia home by professional swimming pool contractors, you have a handy place to escape without paying for membership fees or having to buy overpriced snacks. So, swim a few laps, have a long shower, and get a good night’s sleep once you feel relaxed. If you have questions about pool maintenance and ownership, Rhine Pools is here to help. We are an all-inclusive company, so you won’t need to worry about working with ten different project managers and faces over the course of your project. Right now is a great time to step up your outside aesthetic, our services include patios, decks, shade structures, fireplaces, outdoor kitchens, water features, plantings, lighting, and even more! Whatever you want as part of your pool and landscaping, Rhine Pools can handle the job! For more information and details on proper pool maintenance, give us a call at (410) 442-2445 or visit us online. For more pool design tips, follow us on social media at Houzz, Facebook, Twitter, Pinterest, YouTube, and Google+.